 Learn about affordable EMV Payment Solutions from EVO Payments International. 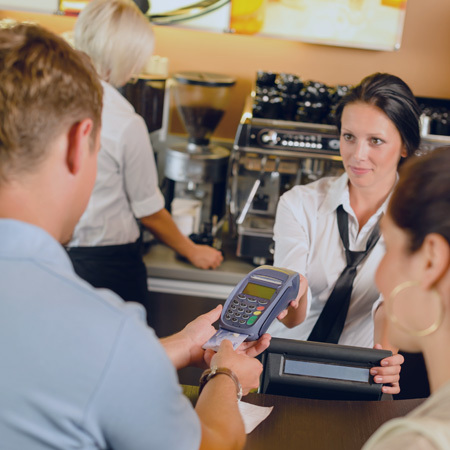 EMV is a global payments technology standard for credit card (and debit card) payments. Named after its original developers (Europay, MasterCard and Visa), this technology features payment instruments (cards, etc.) with embedded microprocessor chips that store and protect cardholder data. The chip is like a mini computer that provides enhanced security to every transaction. And, as of October 1st 2015, merchants who don’t upgrade to accept chip cards may be liable for card-related fraud if it happens in their stores. Show your customers that you care about their information security while protecting your business against liability. 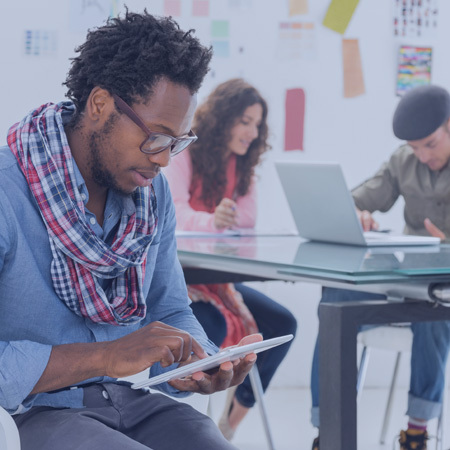 From mobile point-of-sale tools to PC-based transactions to free-standing EMV-enabled terminals, EVO’s integrated POS solutions support your retail, eCommerce or mobile business. Help your merchant customers reduce chargebacks and limit fraud by choosing the right EMV solution. Learn more about EVO’s standalone and integrated POS and mobile POS solutions. Visit EVOSnap.com to learn more. Create EMV-enabled Android™, iOS® and Windows®-based point-of-sale applications in a snap with the Commerce Driver from EVO Snap*. 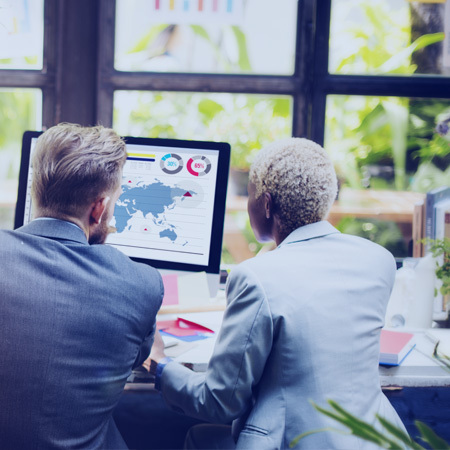 Explore the resources below to learn more about EMV and how to prepare your business for the new global security standard. 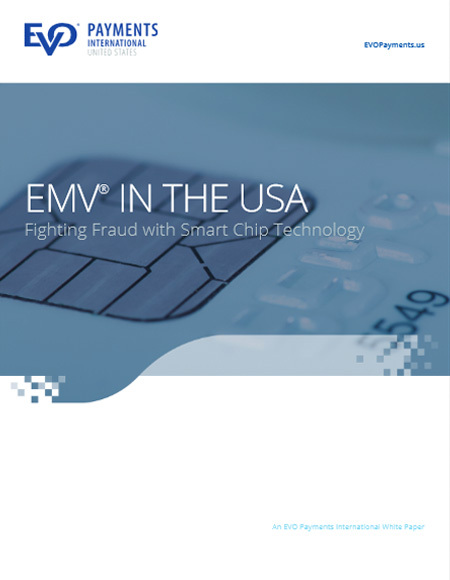 The fight against card-present fraud at the point-of-sale takes a significant step forward on October 1, 2015, with the adoption of EMV chip-based technology in the U.S. It’s the date when in-store fraud liability shifts from financial institutions that have invested in chip technology to merchants who have not upgraded to EMV. We’re EMV ready. Are you? Give us a call at 1.866.878.5525 to discuss our comprehensive suite of EMV solutions. 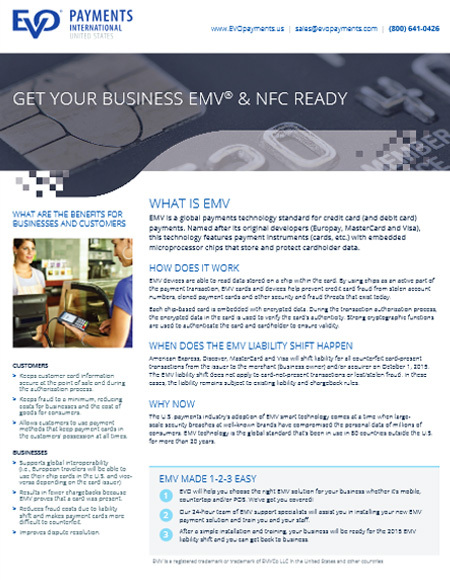 Contact us today for more information on EVO’s EMV payments solutions.